If your home isn’t getting enough attention from buyers, there could be multiple reasons why it’s not selling. Today I’ll be speaking about nine different reasons why this might be happening to you. Your photos are terrible.Buyers go online to look at homes these days, and if your pictures aren’t high quality, they’re not going to stand out and your home will be lost in a sea of listings. Your first showing is now on the Internet. It’s overpriced.Buyers are aware of when they’re getting a good deal or not. Don’t test the market. It doesn’t show well.Buyers want turn-key homes that are ready to move into. It’s invisible online.Your home needs to be featured on all the relevant real estate websites. Your listing is stale.If you’ve had your home on the market for longer than a few months, people may think that something is wrong with it. This will cause your home to sit without offers, and you will net less money than if you had sold quickly. Your house won’t appraise.This comes back to pricing your home correctly so that it sells for top dollar. 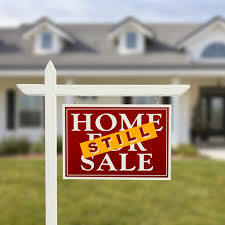 Your property is unavailable to show.You need to be flexible as a seller if you want your home to sell quickly. Buyers need to come look at it, and you have to allow them that privilege. You have the heat and power turned off.You need buyers to feel comfortable in your home and you need the lights turned on so that they can actually see the property. The Flintstones live next door to you, and their property is degrading yours.Everyone has this problem, but you can offer to mow their lawn or perhaps bribe them with some food and drinks. At the very worst you can just construct a fence to obscure the view of their home. Hopefully these nine issues have brought clarity to you as to why your home isn’t selling. If you have any further questions, please don’t hesitate to contact me, Josh Tagg, your Trust Mortgage Specialist!